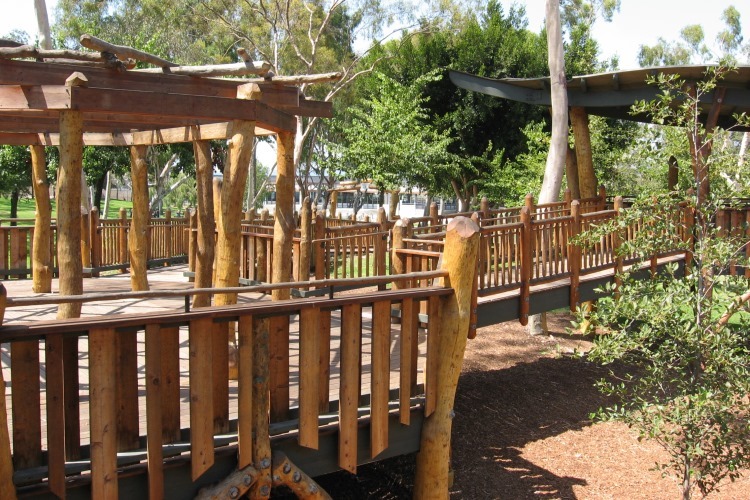 The Universally-Accessible Treehouse is the first universally-accessible treehouse in a public space in the country. 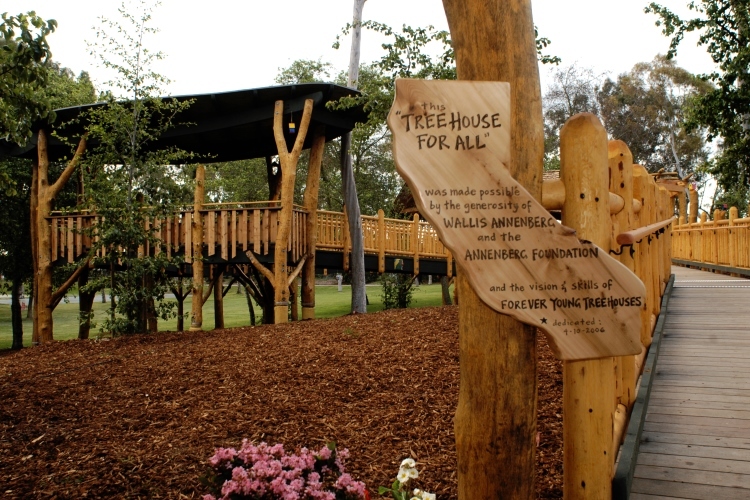 Based on a concept developed by Forever Young Treehouses for rehabilitation clinics and the Paul Newman Hole in the Wall Gang Camp, the Annenberg Foundation wanted to enable people of all abilities to enjoy the unique treehouse experience in a public setting. 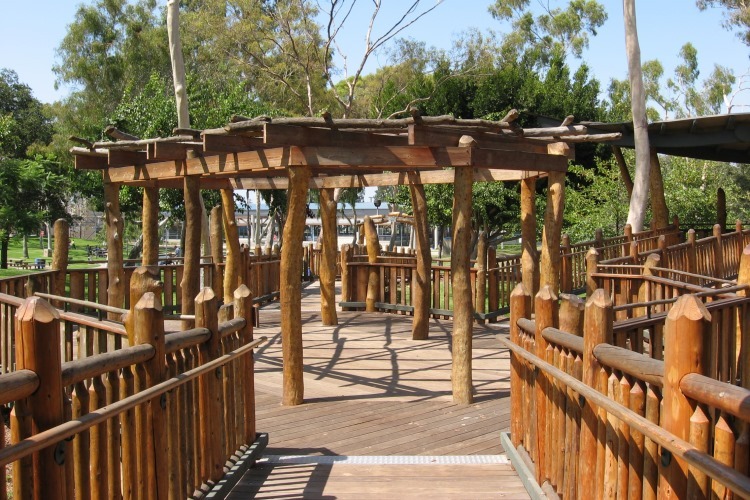 The treehouse, a 2,500 square foot wooden structure, was designed to give children and adults of all ages and physical abilities an awe-inspiring experience — and a bird’s eye view. The Foundation hired Punt Consulting Group to work with the Vermont craftsmen and local general and specialty contractors, as well as navigate the permitting process through local municipal agencies. The park soil composition posed significant problems as excavation began for the treehouse supports, and ultimately a special diamond-tipped drill rig was required. In addition, the unmilled lumber (felled trees, debarked but not milled) used in the treehouse construction stymied the local building authorities, as they didn’t know how to rate the structural integrity of the building members. 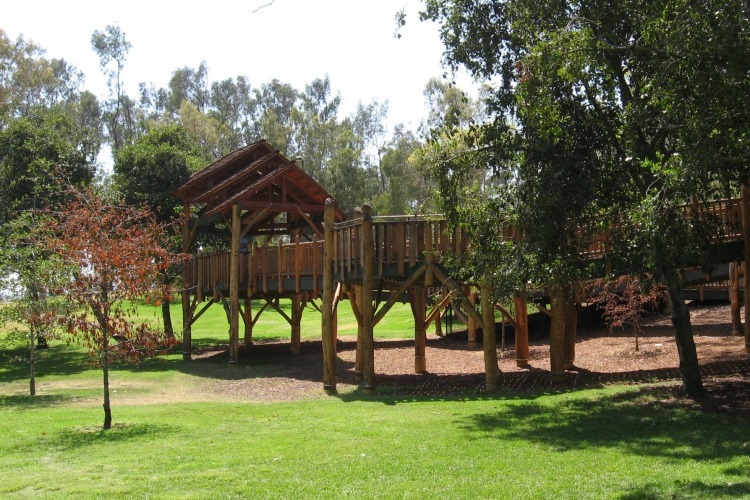 Punt Consulting Group worked closely with the City of Torrance, Forever Young Treehouses, and specialty engineering and shoring firms to successfully complete what was a deceptively challenging project to bring to fruition. The Treehouse is in a community where many pre-school children are cared for at home by their grandparents. While originally intended to be a magnet for children with physical and/or cognitive challenges, the Treehouse also provides the community with a mulit-generational experience for people of all abilities. Barbara would be a welcome addition to any project from treehouse to skyscraper.